Your organization's reputation in hiring not only affects who you can recruit, but also the level of compensation you must offer to land your top candidate. (Highly reputable organizations can typically offer lower salaries.) And for job seekers, the reputation of their current organization is a significant factor in how future employers perceive them. Faced with a stack of resumes, most hiring managers gravitate to the candidates who worked at well-known, reputable organizations. Sometimes the preference is explicit, like when a manager wants to poach candidates from a top competitor. But most of the time the bias is unintentional, offering a warm feeling of familiarity like the brand preferences we all exhibit at the grocery store. To most hiring managers, this favoritism toward people who work for reputable brands feels smart. It feels safe, the candidate feels like less of a hiring risk. People mistakenly attribute the company’s reputation to the person. After all, if Google is selective, and this person worked there, they must be pretty smart. The assumption is that they’ll also work out well for your organization. This judgement of people based on where they work is called the Halo Effect. Candidates get undue credit for being affiliated with a reputable organization because hiring managers struggle to separate individual performance from organizational performance. The Halo Effect often comes into play when someone is seen as a rising star within a successful organization. The assumption is that their star would continue to rise in any organization. Yet this assumption often fails because it doesn’t give proper credit to the value created by the work environment. On the other hand, what happens to candidates who were unfortunate enough to work at Enron, or other companies tainted by scandal? Executives with scandal-tainted companies on their résumés pay a penalty on the job market, even if they clearly had nothing to do with the trouble. Overall, these executives are paid nearly 4% less than their peers. Given that initial compensation in a job strongly affects future compensation, the difference can become truly significant over a career. Some reputations affect millions of people. For example, government workers: there are countless examples of hard-working people working in the public interest. Yet some managers assume that they all have a Department of Motor Vehicles work ethic. 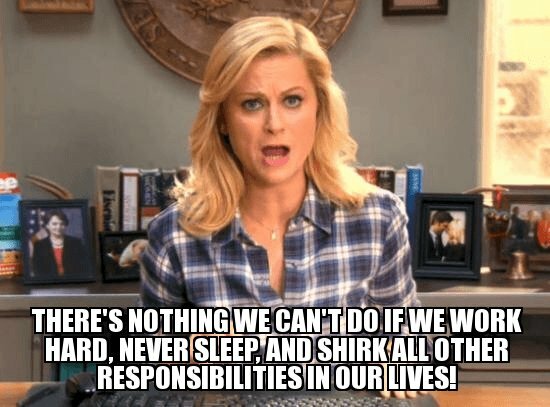 But what does Parks and Recreation Deputy Director, Leslie Knope think about hard work? Yet, because of a negative stereotype about government workers in general, hiring managers often justify not hiring a well-qualified candidate like Leslie because, "They work in government. Government workers have a reputation for not working hard." The problem with reputation in hiring, and really any preference or generalization, is that it reduces curiosity about the individual under consideration. Perhaps the person is frustrated with government, and actually would agree with your stereotype---and that’s why they’re looking for a new job. In fairness, we are all shaped by our culture to some extent. We adapt to the demands of our work environment. But this doesn’t define who we are---our familiarity with one culture only attunes us to what’s important within that culture. If someone is culturally the right fit, they can become attuned to what’s important to your organization as well. In any hiring situation, it’s wise to avoid the bias by recognizing what happens when you see a big flashy name (whether that is Apple or Enron). That reputation might make someone seem much more successful---causing you to ignore any warning signs, or evaluate them less thoroughly. Or it might mean you are ignoring perfectly qualified candidates because of a scandalous reputation they had no part in creating. The key is differentiating the person from their previous environment. Give the candidate less credit for the past successes of their organization, and less blame for the failures. You can learn a whole lot more in the telephone interview when you ignore the organizational achievements and instead delve into their individual role in the work. In doing so, you can actually gain a significant competitive recruiting advantage. When you look for skills instead of prestige, you’ll not only meet your salary budget, but you may actually find better people to achieve your goals. You pay more for people with high-pedigrees. Someone who went to Harvard, who worked for Google, who worked in the White House---these people demand a price premium. Meanwhile, someone from an organization with a negative reputation might be better qualified, far more affordable, and actually grateful for the opportunity. Reflexively seeking prestige overlooks too many great people. 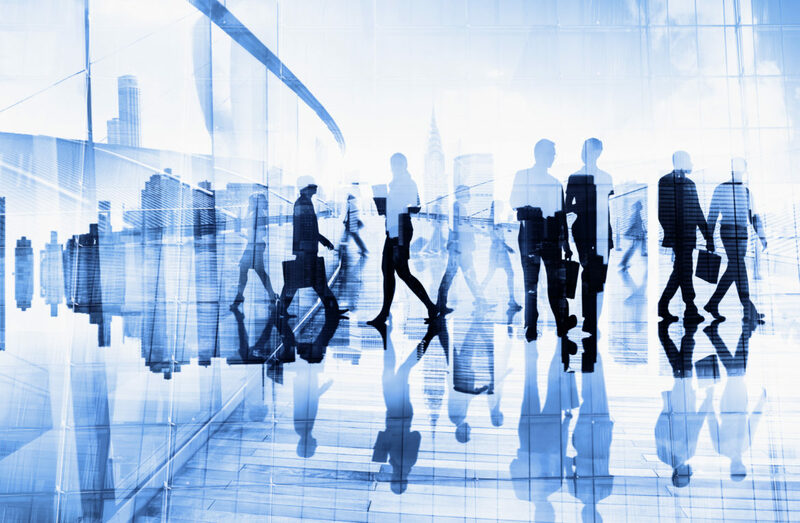 For more on this topic, read How Employer Reputation Affects Senior Executive Careers, or download our Viewpoint Document on The Glassdoor Impact. Hopefully you found this post useful. If you did, you are welcome to learn more about the executive search and hiring process in our Resource Center.